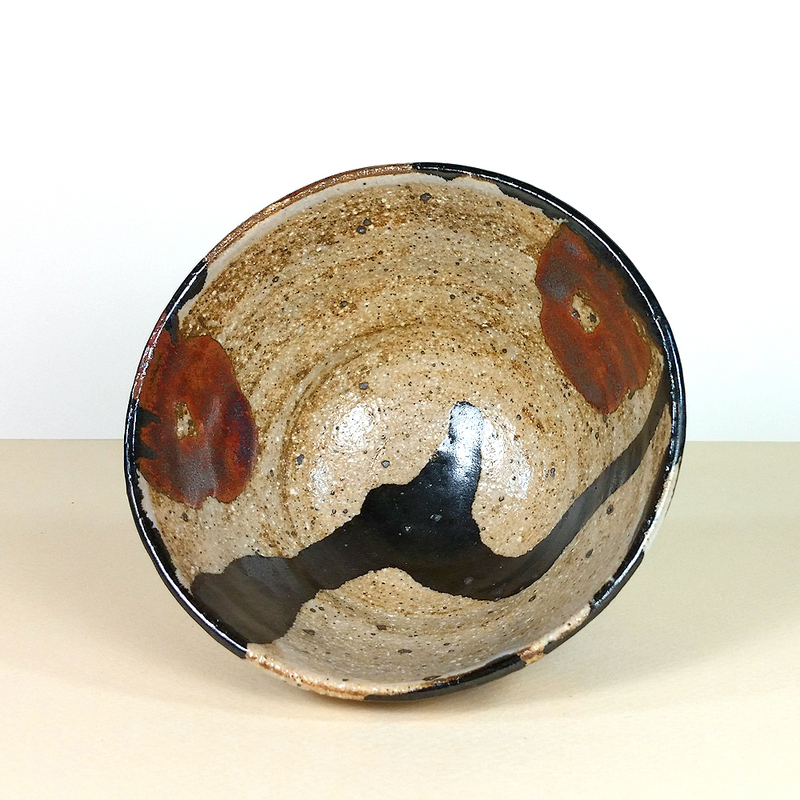 The shape of this small-size chawan (handmade tea bowl) is known as Ido-style – a reference to the shape that is historically linked to Korean tea bowls. Today, Korean tea bowls are still made in this style and some Japanese tea bowls follow this form as well. Although an individual tea drinker may fill a chawan to whatever capacity is appropriate to the occasion, this size tea bowl does seem perfect for daily use. Not too large but also not as small as a sencha bowl, it offers just the right amount of tea (matcha or another tea) to perk up any tea-drinking opportunity. The healthy angle of the bowl’s shape encourages frequent use and easy sipping. 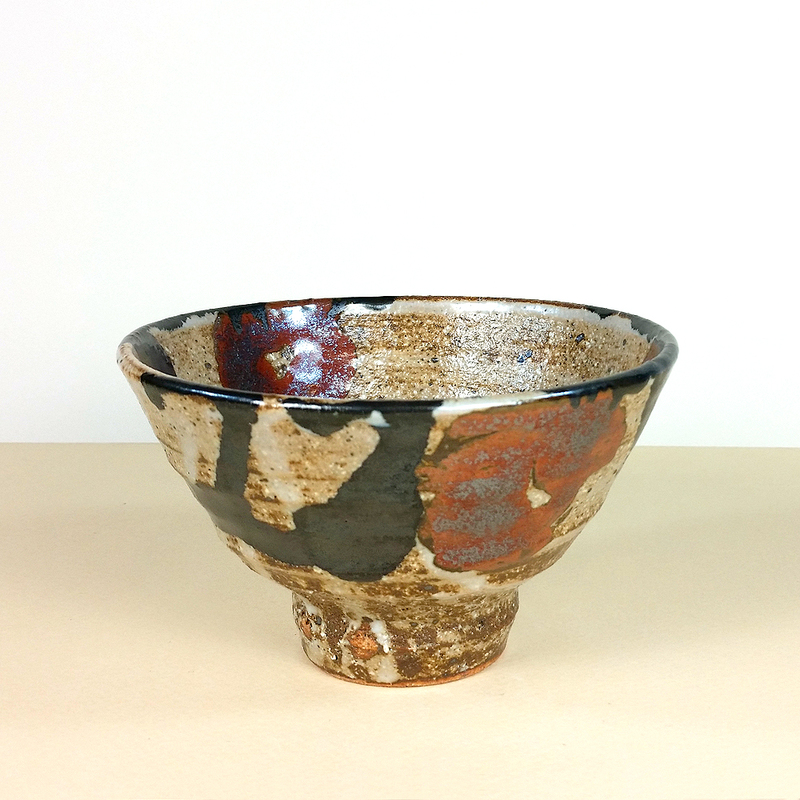 The clay body is coarse from the addition of some fine sand, which gives the tea bowl a rustic, natural feeling. 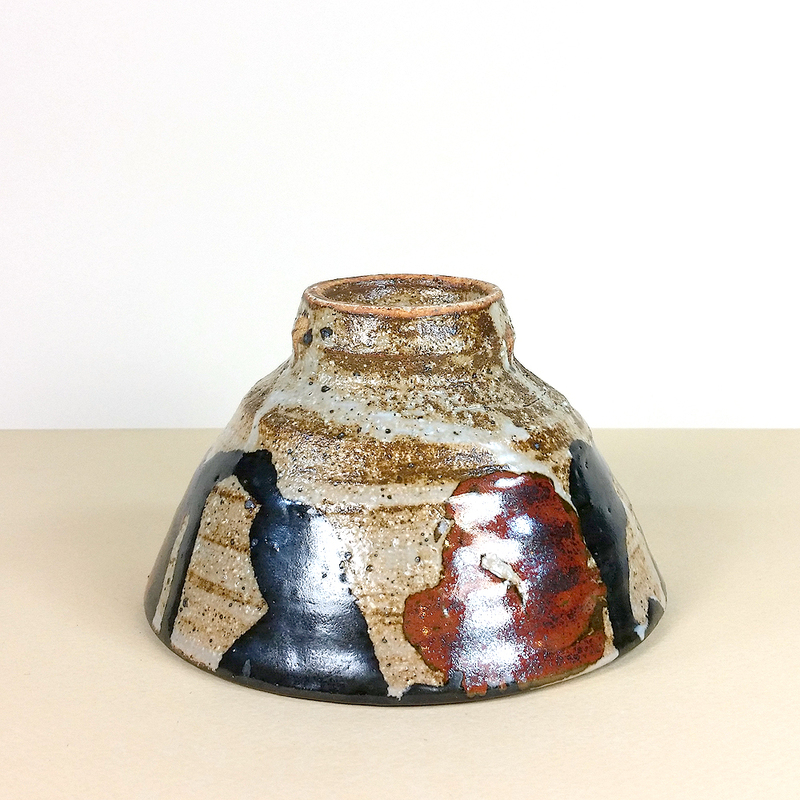 The cup is glazed with brown and then with a thin white glaze (complete with some trailing white glaze drips) which softens but does not eliminate the gritty feeling of the clay. This small chawan can easily serve as an oversized teacup.